Sega Forever Will Be Coming To The Nintendo Switch | Nerd Much? In an interview with Eurogamer, Sega Networks’ chief marketing officer Mike Evans has stated that with Sega Forever’s games being launched on the Unity engine, the program will likely coming to Apple TVs, desktops, and the Nintendo Switch. 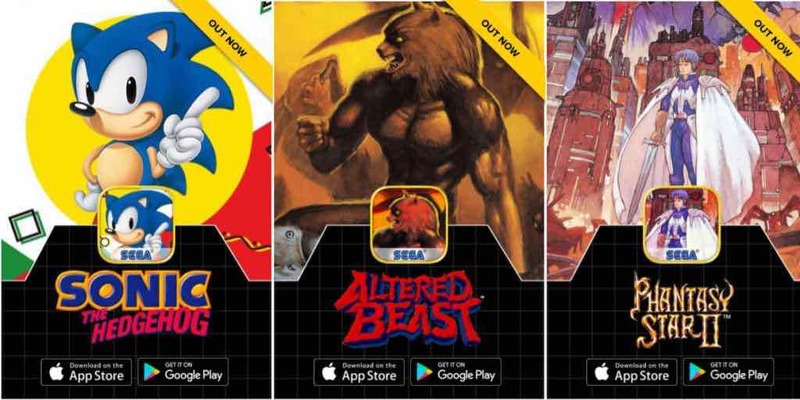 This comes in response to some criticisms for the mobile versions of the Sega Forever games, including Sonic the Hedgehog, Altered Beast, Comix Zone, Kid Chameleon and Phantasy Star II. Having finally played my all time favorite platformer, Sonic the Hedgehog, on my phone now, I can admit I understand where these criticisms are coming from. After the ease of moving Sonic through level after level in a matter of minutes on the Game Gear, I found the mobile controls awkward and significantly less tactile than actual buttons. I plan on hooking up a controller via bluetooth in hopes that will improve things, but I have my doubts. As Evans himself states, there are some challenges with a d-pad on a touchscreen and Sega does plan on addressing those, along with some improvements to the graphics. Releasing on the Switch will vastly improve all these control problems and I look forward to playing it again just like old times. Nonetheless, once those kinks are ironed out, Evans goes on to say that there will be plenty more classic Sega games coming with the Sega Forever program, like Panzer Dragoon. When was the last time you used a d-pad to direct your character in the game world? How do you think it translates to the mobile? Let us know your thoughts in the comments below.